On Wednesday, Cambridge Analytica whistleblower Christopher Wylie told the Senate that President Donald Trump’s 2016 presidential campaign—more specifically, former chief strategist Steve Bannon—hired the firm with the intention of using data to “discourage or demobilize certain types of people from voting,” The Hill reports. “Mr. Bannon sees cultural warfare as the means to create enduring change in American politics. 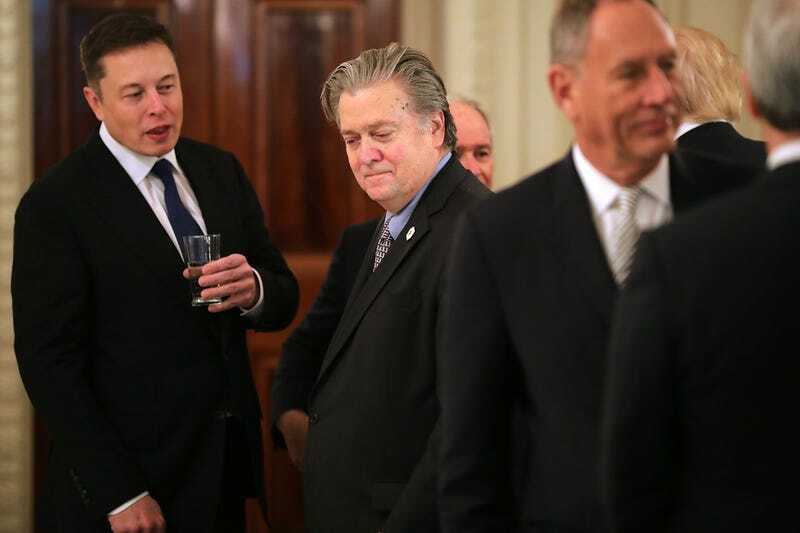 It was for this reason Mr. Bannon engaged SCL [Cambridge Analytica’s parent company], a foreign military contractor, to build an arsenal of informational weapons he could deploy on the American population,” Wylie told CNN. Earlier this year, Wylie helped blow up Cambridge Analytica’s whole spot after he revealed that the company harvested 87 million people’s data without their consent. “That was my understanding, yes,” Wylie replied, The Hill reports. There you have it, folks. Stay woke.